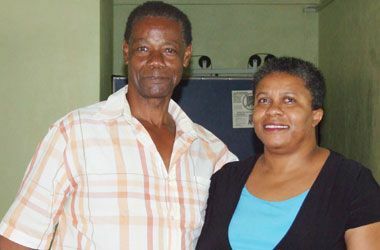 Williams made that proposition known to SEARCHLIGHT soon after she was elected last Saturday at the federationâs Annual General Meeting, held at the Fitness Quest Gym at Villa. Williams was speaking against the fact that the sport had experienced a prolonged period of dormancy since 2006. Philosophical in her approach, Williams, who has served in the top position since 2000, despite not having elections since 2004, projected: âIt is a new era in the sport and people can only look forward to good things from the sportâ. Williams acknowledged in a previous interview with SEARCHLIGHT that part of the dormancy of the organization was her own disenchantment with the direction the sport was taking. However, a more chirpy Williams said this time around, âThe fact that there are new members, there are now other gyms involved – it is not the same three gymsâ, as she explained why there should be growth in the sport. Looking ahead, the bodybouilding President further told SEARCHLIGHT: âWe can go forward if managers and owners of the gyms encourage the athletes to become active, as I think one of the problems is that persons were not encouraged even from the Executive or from individualsâ. âOnce there is an awareness and once there is education of the sport, we would see the sport moving forward,â she added. The Bodybuilding head also advanced the pathway of revival. Williams said that part of the plan is to get bodybuilding in the schools; piggy-backing on the popular cheer leading, which she said could be a form of kiddy fitness. The re-elected President stated that her Executive will be aiming to hold an exhibition show later in the year to follow Fitness Questâs Inter Gym Contest set for May. Williams, along with two other members of the former Executive, were officially given another two-year mandate, last Saturday. Williams, a former President of the Eastern Caribbean Bodybuilding and Fitness Federation, beat Steve Victory in the run off for the presidency. Victory gained five votes from the floor, with Williams gaining three. Williams, though, got six by way of proxy, to defeat Victory 9-5. Victory was a lead player in trying to revive the sport during its period of inactivity. And, Williams indicated forcefully that there is no animosity between her and Victory, as perceived by many persons. Stephen Roberts was voted the Vice President, and Anastacia Bascombe was elected unopposed to the post of General Secretary. Desmond Matthews, who served as Treasurer on the outgoing Executive, also retained his position, beating Clifford Gould 13-4. Gould, who was also nominated with Matthews for the post of Public Relations Officer, automatically gained the position. Osbourne Williams, who previously served as General Secretary, now holds the position of Assistant General Secretary Treasurer. Williams in a run off with Kieve King won 13-2. The three Committee Members are Sydney Sutherland who garnered 16 votes, with Wayne Trimmingham and Ulrick White. Trimmingham, White and Leslie Hall all returned nine votes, but White gave way to Trimmingham and Hall. The other individual who contested for the Committee Member post was Gladstone Pilgrim who gained seven votes. Like President Williams, Matthews, Osbourne Williams, Sutherland, Trimmingham and White all gained six proxy votes, ahead of the elections.